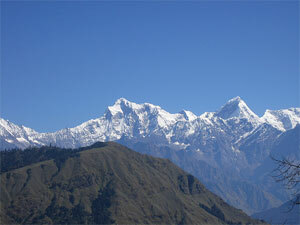 Ganesh Himal trekking is non touristy trekking trail in Nepal. Ganesh Himal trek offer beautiful Himalayan views including the Ganesh Himal, langtang lirung, paldor peak , Tibetan Himal , Dorje lakpa etc , Tibetan and Tamang culture. Ganesh Himal trekking is not only popular for Himalayan scenery but beautiful landscape, terrace fields and beautiful landmarks of Nepal. 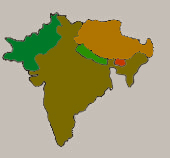 Ganesh Himal lies to the north-west of Kathmandu and is inhabited by many interesting ethnic groups with a mixed lifestyle. Ganesh Himal trekking take you a glimpse of real Nepalese life and provides visitors an opportunity to observe the rich Nepalese culture from a close proximity. Ganesh Himal trek is rich in flora and fauna with 526 species of plants (including 40 species of orchids) and 300 species of birds. Ganesh Himal trek start at Trisuli after 5-6 hours drive from Kathmandu. Apex Nepal Adventure’s trekking guide led through Tamang village Satdobato Valche Singla pass Jharlang Borang Khanchowk and end at Gorkha bazaar. Autumn and spring season is best time trekking in Ganesh Himal region but we Apex Nepal Adventure arrange as per trekkers wish and holiday frame . minimum two weeks holiday and good physical fitness required treks in Ganesh Himal. Only camping / tented trekking is possible in Ganesh Himal region. From Gorkha Bazzar drive back to Kathmandu or you may extend your journey to Chitwan National park for Chitwan jungle safari or may join Lumbini package tour. we Apex Nepal Adventure design trip itinerary as per traveler’s wish. Day 01: Arrival in kathmandu 1334m, Apex Nepal Adventure’s representative will transfer to hotel , Ganesh Himal trekking briefing with officially arrangements. overnight at Kathmandu. Day 16: After breakfast, our tour guide will take to for historical monuments sightseeing in kathmandu valley such as Boudhhanath: visit Bodhnath Stupa, one of the biggest Buddhist shrines in the world, where we observe Buddhist monks in prayer in the monasteries surrounding the stupa than visit Pashupatinath: the most famous Hindu temple in the country, located on the banks of the holy Bagmati River. Here you see Hindu holy men (sadhus) meditating, pilgrims bathing and occasionally funeral pyres burning on the ghats. Kathmandu durbar square: you will enjoy with different Hindus Temple , Goddes Kumari, legend of kathmadu valley and in the evening farewell dinner in Nepalese Restaurant, overnight at kathmandu in Hotel. Day 17: After breakfast, Relaxing/shopping with own activities ,Apex Nepal Adventure’s representative will drop to Kathmandu international airport for onward destination.